South Africa has been paying the piper, and other people it didn’t quite mean to pay, with a significant increase in debit order errors, disputes and fraud, the Payments Association of South Africa has said. However, the annual PASA conference on Wednesday saw a breakthrough in this regard. As of August 1, DebiCheck is now live across ten banks – including Standard Bank [JSE:SBK], FNB, ABSA, Nedbank [JSE:NED], Capitec [JSE:CPI], Bidvest [JSE:BVT] and UBank – and will be a debit order fraud game changer, said PASA CEO Walter Volker, who addressed the conference on Wednesday morning. "Today is the day from which every bank is live," Volker said. Up to this point, a simple error or deliberate fraud could mean any innocent party could have money debited from their account by someone without their consent if they had their account number and details. This could occur accidentally, by typing in the wrong numbers, or with the intent of taking their money illegally. The account holder debited would have to be watching their account and tracking their payments to notice this, and then would have to dispute the transaction with their banks – a lengthy process which may or may not prove successful, essentially punishing the innocent party (and disenchanting banks’ paying customers) for another person’s crime or error, Volker said. DebiCheck, which has cost South Africa’s banks over R4bn and started being developed in 2013, sets out to change all that. This means a debit order will only be processed to a consumer’s account if the mandate for such a debit order has been given electronically. 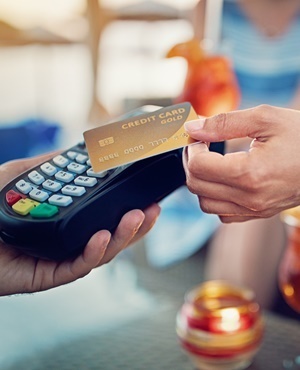 This puts the control and agency back in the hands of the account holder, as it means that consumers will be aware of which DebiCheck debit orders will be processed to their accounts - such debit orders will not be processed by the bank if they are outside the agreed conditions the consumer initially confirmed. While this seeks to reduce fraud, arguably the real goal is to enhance banks’ customer experience – a relevant need for an industry being disrupted by ‘non-banks’ worldwide like SnapScan, WhatsApp Pay and even Google, all seeking a piece of the previous impregnable payment systems pie that has been guilty previously of annoying and overcharging people, the developers of DebiCheck argue. Immediately, probably not much – unless you are part of Old Mutual, one of DebiCheck’s early adopters. According to Volker, the entities that debit your account will need to adopt DebiCheck and then inform you of it in your next engagement with them. "What we have to do is now sign on what we call the users – your call centres, your insurance companies, micro lenders, actually anybody can use it once they’re signed up with their banks, anyone who wants to use ‘that early window’ so if they sign up for one of their products Old Mutual is already piloting," he says. If a client is online after consenting to DebiCheck and wants to make a payment, DebiCheck will require that debit orders processed in the early payment window must be confirmed by the consumer whose bank account is being debited. This may mean they receive an SMS or pop-up message in their banking app, depending on the bank, requesting confirmation. PASA is also working towards creating a publicly available database of 'rogue users' - people who illegally or suspiciously debit accounts. Any member of the public will then be able to access a centralised database to check if the person requesting to debit their account - whatever bank they are with - is a likely fraudster. The next major challenge will be rollout of the changes, Volker says. "All 10 banks have stuck it out – some banks had to rip out the old payment engine and add in a new one. "But they stuck it out. The trick now is to bring on 4 600 users, ranging from big insurance companies all the way down to the consumers."